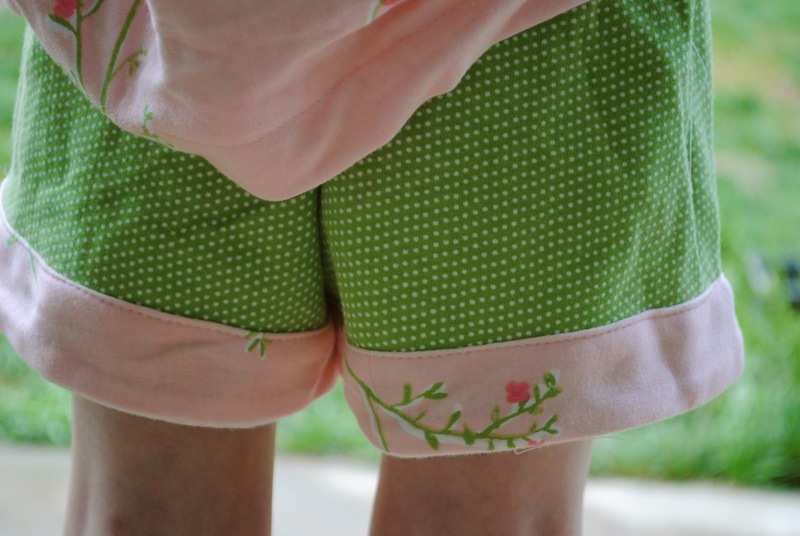 Last summer or so I started an Oliver & S short set for Oona in some adorable Moda knit fabric. 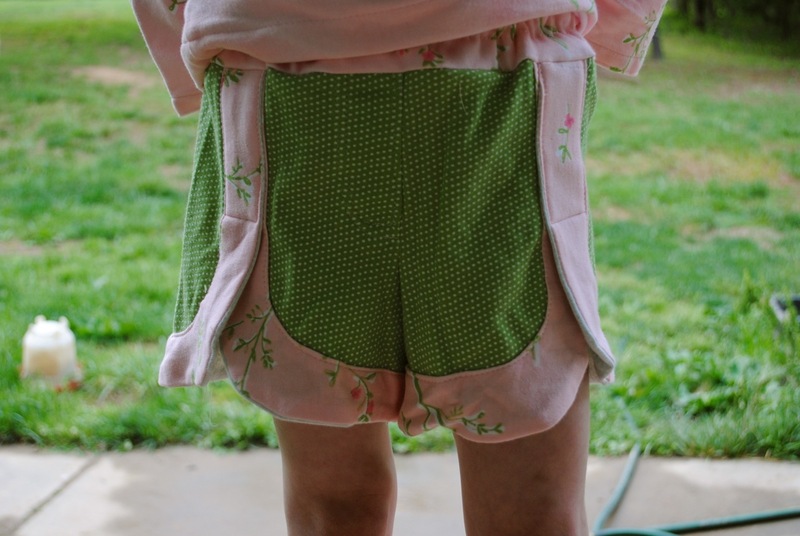 Before finishing the waistline on the shorts I tried the outfit on Oona and discovered it was going to be WAY too big on her. So I stashed it. Yesterday I pulled it back out and finished it. When we tried it on her again, it fit! 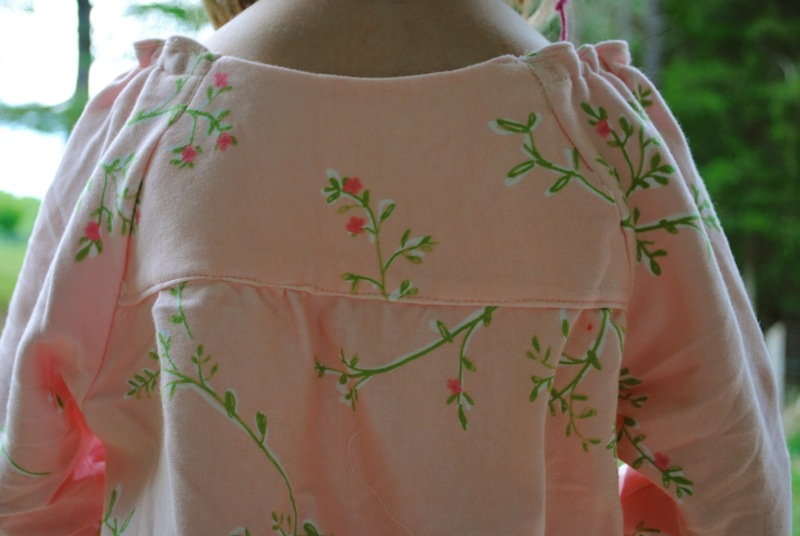 I’ve yet to use a pattern from Oliver & S that we haven’t loved. 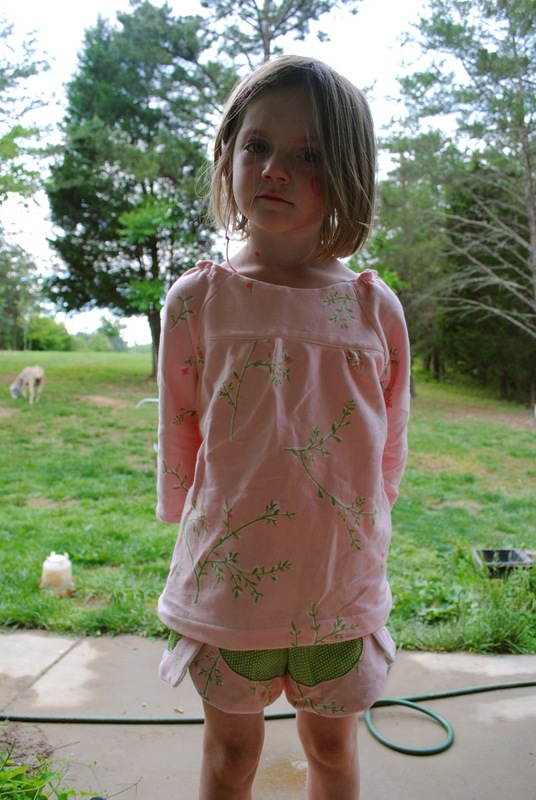 This entry was posted in Kids and tagged Sewing. Bookmark the permalink.